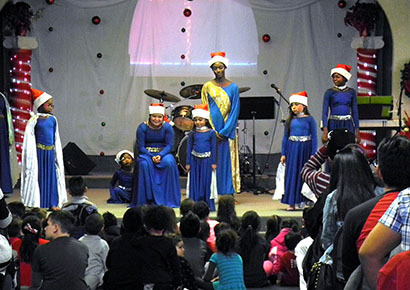 Above, a group of children perform Christmas carols for the assembly during the 17th Annual Good Shepherd Toy Giveaway Saturday at Forever Free Fellowship. 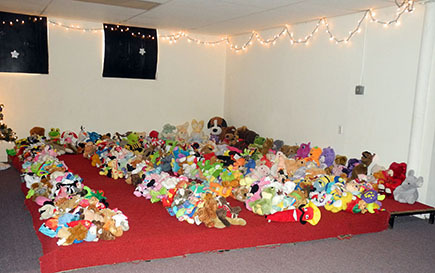 Below, a large selection of stuffed animals sits awaiting new owners to love and enjoy them. The toy drive benefited numerous Artesia youth ages birth to 15 who might otherwise have had nothing under the tree.